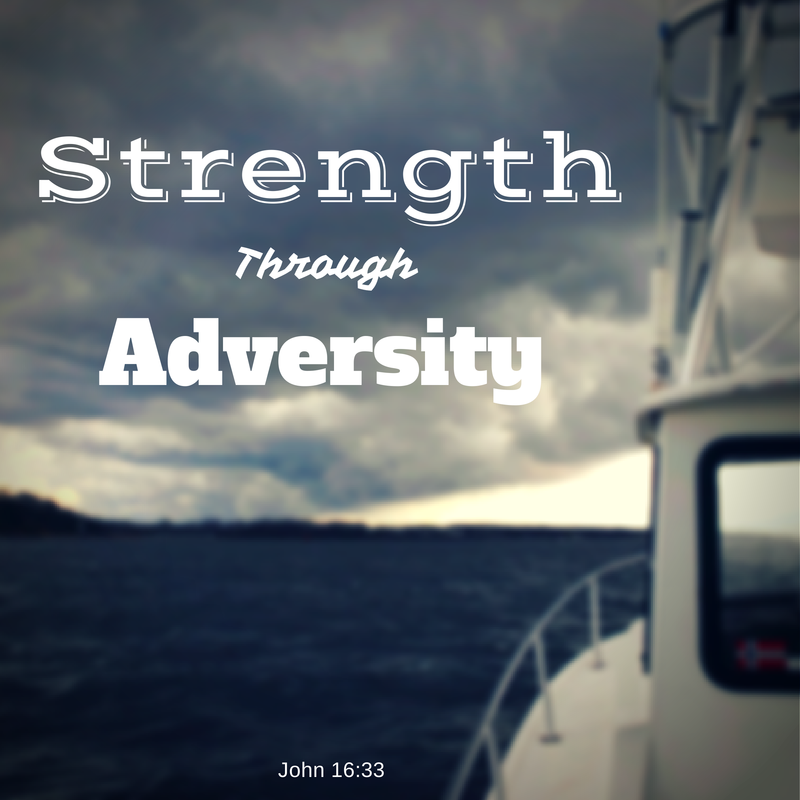 Jesus never promises for us to NOT have adversity. Rather He promises to be with us in the midst of it. It can be easy to think that as a follower of Jesus that I deserve to be excused from certain tragic and or difficult times. Yet if God did not spare His one and only son, how am I to think that God should “spare” me? Trials and tribulation will come. The question is will I overcome or be overcome by them? Will I be strengthened or defeated by them? Adversity is part of this life and hardship will come to everyone at some point in time. The true test of who I am and what I believe will be revealed in those times of difficulty. I will be strengthened as I am stretched. The principle is true of people who exercise. Muscle is torn down to be built through stress and strain. The more stress and strain the muscle undergoes, the stronger, more defined and visible it becomes. This is no less true of our spiritual muscles. Jesus gives the words in John 16:33 to his disciples. He encourages them that He has already defeated the things that will challenge them. Knowing Christ has defeated the things that I will face can bring a sense of joy in the midst of each trial and hardship because I am not facing it alone but with Someone who knows exactly how to use it to my advantage and to help me be an overcomer with Him.